The Ace of Geeks: First Footage of Live-Action Attack on Titan! It's happening. 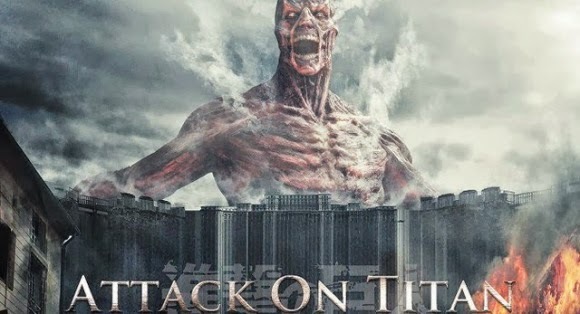 The live-action Attack on Titan has been in the works for a while now, and finally we get our first look at what the celebrated manga/anime will look like on the big screen. So far, it looks really good. As a Japanese production, they don't have a Hollywood budget, but they use some great tricks to hide it well, and while the actors look a little older than I might like, they still look like they're giving fantastic performances. I can't wait to see the finished product - hit the jump to see the trailer, interspersed with some Japanese news show footage.